This post is written by Certiport, a Platinum Level sponsor of the 2019 Advance CTE Spring Meeting. According to the U.S. Bureau of Labor Statistics, STEM occupations grew twice as fast as others between 2009 and 2014. STEM jobs are also expected to grow faster than any other job category through 2024 with a projected growth rate of 28.2 percent, compared with the average projected growth for all occupations of just 6.5 percent. High school graduates will typically need a lot of additional training to fill the high-tech jobs of the future, but starting in K12 sets students on a path for continued learning – it opens the door and helps them to realize an interest in and an aptitude for a career in computer science. Industry-recognized certifications are one way to get K12 students started on a path to a career in technology. CTE programs around the country are adopting certification programs to set students on a path to professional development, and one fantastic example is Sun Valley High School in Monroe, North Carolina. When teacher Eddie Mull arrived at Sun Valley High School three years ago with a 35-year background in the drafting industry, he aimed to rejuvenate the drafting program to make sure students learned work-ready skills. Over his career, he earned several Autodesk Certified Professional certifications and has seen their value in the workforce. As a result of Mull’s efforts and the support of the CTE department, Sun Valley students quickly caught the fire of earning Autodesk Certified User certifications. Each semester approximately 40 to 50 students take Drafting 1 and most earn Autodesk Certified User AutoCAD certification, and another 15 or so take Drafting 2 and most of them earn the Autodesk Certified User Revit certification. A new statewide initiative directs Drafting 3 students to earn a professional level certification – which is very difficult. “It is hard but doable, I have had two students earn the Autodesk Certified Professional certification so far with about a dozen more preparing,” said Mull. “The program will be formally implemented next year.” Mull works with students to make sure their Autodesk Certified User level and Autodesk Certified Professional level certifications stand out on their resumes and even provides a resume template. Some of his recent graduates with Autodesk certifications have interviewed at as many as five places and have been offered jobs by all five. Whether his students plan to go to college or enter the workforce, Autodesk certification helps with admissions and job interviews. “The certification indicates that students have the skills and are able to perform the tasks necessary to utilize the Autodesk applications,” said Robert Filter, Union County Public Schools Director of Career Readiness. “It provides the students an opportunity to spotlight their skills and knowledge over other potential candidates when applying for a job. Recent Sun Valley graduate Gabriel Blount said earning an Autodesk Certified User certification has already helped him as he builds a career in drafting. Please join us the evening of Tuesday, April 9th from 4:30 to 7 p.m. at our Hospitality Suite at the Advance CTE Spring Meeting to learn more. With two hearings this week on the President’s budget proposal for the U.S. Department of Education for Fiscal Year 2020 (FY2020), appropriations season is in full swing! Read below to learn more about the hearings, the Representatives who signed a letter to support funding for CTE, and updates on both higher education and K-12 education. Representatives Langevin (D-RI) and Thompson (R-PA), co-chairs of the Congressional CTE Caucus, were joined by 153 additional Representatives from both parties who signed on to a “Dear Colleague” letter that encouraged strong funding for Perkins. The letter was sent to the Chairwoman, Rosa DeLauro (D-CT) and Ranking Member, Tom Cole (R-OK) of the Appropriations Subcommittee on Labor, Health and Human Services, Education and Related Agencies as they begin the appropriations process for Fiscal Year 2020 (FY2020). The widespread support for the letter is a testament to your advocacy efforts! You can check this spreadsheet to see if your Representative signed on to the letter – please don’t forget to send a thank you note to those who signed! Both the House and Senate Appropriations Subcommittees on Labor, Health and Human Services, Education and Related Agencies held hearings on the President’s FY2020 budget proposal for the U.S. Department of Education on March 26 and March 28, respectively. Secretary DeVos testified before both committees and both hearings covered a wide variety of topics, from student loan debt to school discipline to school safety and more. In addition, there was much discussion around issues affecting CTE, such as teacher shortages, expanding Pell grant eligibility to high-quality, short-term programs, apprenticeship, and the proposed elimination of two programs that can support CTE and other efforts: the Supporting Effective Instruction grants authorized under Title II of the Every Student Succeeds Act (ESSA), the Student Support and Academic Enrichment grants authorized under Title IV-A of ESSA. While the President’s budget proposed level-funding for CTE State Grants, multiple members of Congress expressed support for CTE and the need to change the perception of CTE. On March 21, President Trump signed an Executive Order on Improving Free Inquiry, Transparency, and Accountability at Colleges and Universities. The executive order provides direction across three categories: Promoting First Amendment Rights, Improving Transparency and Addressing Student Loan Debt. First, the executive order reinforces existing requirements for colleges receiving federal funding for research to support free speech. Significantly, the order directs the U.S. Department of Education to add program level data on student outcomes for the first time to the College Scorecard, an online interactive tool that allows users to gather information on the cost and certain outcomes (e.g., median earnings, median loan debt, and loan default and repayment rates) of higher education institutions. The executive order also calls for the U.S. Secretary of Education to lead the research and reporting of policy options for risk sharing with student loan debt so that the federal government, institutions and other entities- not only the student- have a financial stake in students’ ability to repay loans. The research must address: state and institution transfer policies, how states and institutions can increase dual enrollment opportunities, and other ways to increase student success, particular in completing postsecondary programs of study. Secretary DeVos’s statement on the executive order can be found here and Senator Alexander’s (R-TN), Chair of the Senate Health, Education, Labor and Pensions Committee, statement can be found here. A new report from Advance CTE, Achieve, Education Strategy Group and the Council of Chief State School Officers through the New Skills for Youth initiative examines state and federal accountability systems to see how states are measuring college and career readiness. The report, called Making Career Readiness Count 3.0, finds that the number of states with career readiness metrics in their systems has more than doubled from 17 in 2014 to 40 in 2019. The report breaks down common approaches to measuring college and career readiness and offers critical questions for states to consider as they implement new measures. This post is written by eScholar, a Gold Level sponsor of the 2019 Advance CTE Spring Meeting. Students want careers they are excited about. Once they know the careers that excite them, they want the most effective pathways to succeed in those careers. CTE pathways start earlier and lead to many rewarding careers. The challenge is to show a wide variety of students that CTE programs can launch them directly toward numerous careers and provide a running start toward an infinite number of others. We know that with successful CTE programs students have lower dropout rates, higher test scores, higher graduation rates, higher postsecondary enrollment rates, and higher earnings than students who do not enroll in CTE offerings. The key is to show students the short- and long-term benefits and provide constant feedback and guidance about where their pathway can take them. 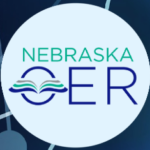 The goal of CTE in your state is to enable the delivery of achievement in not only academics but also in career-readiness through connected systems within the state. That means strengthening pathways based on actual education and workforce experience data. Some of the most economically successful states are making strides in these areas today. The data is clear. What are some of the leading states doing to deliver these benefits? States, including Texas and Pennsylvania, are leveraging their longitudinal data systems to link anonymized data across the entire pathway, including K12, postsecondary, and workforce data. They are analyzing how to show students the path toward their goals. Pathway analytics can show students real paths towards their goals and how to meet their individual circumstances. In Texas, they are managing one of the country’s most comprehensive longitudinal data system, which includes CTE experiences, postsecondary and workforce goals. This enables analysis of pathways, comparing desired and actual outcomes. They are developing strong employer partnerships, to ensure students are attaining educations that make them ready for the workforce. States like New Mexico are providing real career exposure to students and showing them many opportunities in different fields through New Mexico Career Pathways. When a state is able to execute on all of these best practices, they deliver evidence-based CTE programs that ensure workforce-ready graduates. 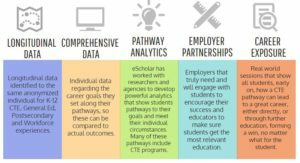 At eScholar, we have long been focused on providing data-driven pathways that provide a clear scope and sequence for students to achieve their goals in any career cluster. It’s a unique approach. The eScholar Pathways Project analyzes the educational and career pathways of millions of individuals to evaluate the effectiveness of individual pathways to educational and career goals. This project has also analyzed billions of educational and career experiences for millions of anonymized individuals to identify effective pathways to degrees and careers. The experiences analyzed include course taking, extracurriculars, interventions and employment and wage data. By taking this approach, a state can provide strategic and tactical insight for both organizations and individuals. If a school district is interested in expanding its CTE program, it can use pathway analyses to determine how to design its curriculum. An individual can review a pathway report to select the best courses that are most highly associated with goal success. A guidance counselor can use a pathway report to provide more precise advice on when a student should take a certain course. Bachelor’s Degree Attainment found that academic intensity and the quality of one’s high school curriculum are the most significant factors in bachelor’s degree attainment. However, taking an expanded approach with the eScholar Pathways Project, we can analyze not just courses, but experiences. We can also analyze pathways for outcomes beyond bachelor’s degrees, including associate degrees, advanced degrees, and career outcomes. We are still conducting research and development on our pathways design, but so far, it has shown a striking amount of promise and the ability to take state and local CTE programs to the next level. What are your thoughts on this? What initiatives is your state taking to elevate its CTE program? Follow us on Twitter @eScholar or visit us to learn more at www.escholar.com. 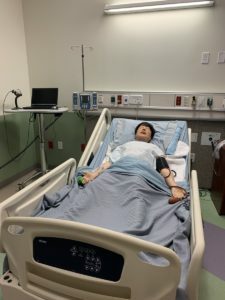 This post is written by Oracle Academy, a Platinum Level sponsor of the 2019 Advance CTE Spring Meeting. #ISupportCTE because: CTE ignites the imagination of learners through learning pathways. CTE Learning Pathways have the opportunity to lead our students to college and then on to career success. Many of these pathways include applicable industry certifications and apprenticeship/internships, but all of them start with helping the student understand the career opportunities available within that pathway. Students have the opportunity to think about whether a pathway is of interest, essentially igniting their imagination about the future. Oracle Academy partners with secondary and post-secondary schools to create computing education pathways, train teachers, cultivate critical thinking and bring creative, academic computing technology curriculum into classrooms. Oracle’s leadership in emerging technologies and next-generation cloud developments spur Oracle Academy’s innovation-focused curriculum, resources, and events so that students have a holistic view of careers associated with computing technology pathways. #ISupportCTE because: CTE is for ALL learners, not just a select few. As we all know, the Carl D. Perkins Career and Technical Education Act is critical to ensuring that sustainable, high-quality CTE programs meet the changing needs of learners and employers. This act works to improve the academic and technical achievement of ALL students who wish to engage in career technical education pathways, while strengthening the bridge between secondary and post-secondary, and balancing student needs with that of a new economy. As parents, educators, and leaders, it’s our duty to encourage ALL students to engage in CTE as a unique opportunity for career discovery and skill development aligned to an industry-relevant learning pathway. Oracle Academy supports diversity in technology and actively works to increase the participation of all students in computing, including girls, women and other under-represented groups, by creating materials and programs that make computing accessible and engaging for everyone. With Oracle Academy, students receive hands-on experience with the latest technologies, helping make them college and career ready in the era of cloud computing, artificial intelligence, machine learning, data science, the Internet of Things, and beyond. Oracle Academy is Oracle’s global, philanthropic, award-winning educational program, with the goal of advancing computing education around the world to increase knowledge, innovation, skills development, and diversity in technology fields. Oracle Academy offers educators and their students FREE resources to teach and learn computing technology. This includes student-facing curriculum, learning and certification resources. Oracle Academy understands and values educators as partners who are empowered to facilitate innovative student learning in and out of the classroom. The Met, a work-based learning focused technical center in Providence, Rhode Island, serves about 800 students across the state. It is also one of eight recipients of Rhode Island’s new Innovation and Equity grant program, a $1.2 million program to help local districts identify and support populations that are underrepresented in high-skill, in-demand career pathways. Using funding from the Innovation and Equity grant program, the Met is working to recruit low-income learners into the Finance program and help them earn high-value credentials that have immediate value in the labor market. Access and equity is a priority for Rhode Island and its nine peer states in the New Skills for Youth initiative, a focus that is highlighted in a new series of state snapshots released today. In 2017, each New Skills for Youth state was awarded $2 million to help transform career readiness opportunities for learners in their states. After spending the early part of the initiative establishing partnerships and laying the policy groundwork for success, states turned to implementation, with a focus on equity, in 2018. Some states are focusing on including learners with disabilities in high-quality career pathways. For example, Delaware piloted a new program in 2018 called PIPELine to Career Success to remove barriers for learners with disabilities to access work-based learning experiences. The program is a two-year process in which school districts identify barriers to access, examine their root causes, and then implement strategies to close access gaps. The Delaware Department of Education has made grants available to three pilot districts and hopes to scale the approach across the state in the future. Other states are working to expand access to advanced coursework for underserved populations. Rhode Island Innovation and Equity program is one such initiative. Another is Ohio’s Expanding Opportunities for Each Child grant. The state leveraged a rarely used allowance in the Every Student Succeeds Act, which lets states set aside up to 3 percent of their Title I funds for Direct Student Services grants, to award more than $7 million to 17 sites in economically disadvantaged communities. The grants are designed to either develop and expand career pathways or improve access to advanced coursework (including AP, IB and CTE). Additionally, New Skills for Youth states are embedding equity as a core principle in both policy and practice. Several states are implementing statewide initiatives in support of academic and career planning, and they have focused their training, guidance and supports to emphasize the importance of equity. Others have built considerations about equity into their criteria for designating – and funding – high-quality career pathways. These steps ensure that questions of equity and access are addressed at every stage, from design to implementation. The 2019 calendar year is the final year of this stage of the New Skills for Youth initiative. As states look beyond the end of the initiative, one question that is front and center in the year ahead is how they will secure commitment and funding to keep the focus on career readiness. States have made a lot of progress, and the efforts they have taken to embed equity in policy and practice will have a lasting impact for years to come. But state leaders understand they must continue to elevate this work as a priority to ensure their efforts in New Skills for Youth can be sustained and scaled in the future. The state snapshots were developed through the New Skills for Youth initiative, a partnership of the Council of Chief State School Officers, Advance CTE and the Education Strategy Group, generously funded by JPMorgan Chase & Co.
Perkins V: How can the comprehensive local needs assessment drive improvement? Provide a structured way to engage key stakeholders regularly around the quality and impact of local CTE programs and systems. How can state and local CTE leaders ensure that the comprehensive local needs assessment drives improvement? Check out the guides below to learn more. GUIDE: A Guide for State Leaders: Maximizing Perkins V’s Comprehensive Local Needs Assessment & Local Application to Drive Quality and Equity in CTE (Word and PDF): This guide from Advance CTE provides a summary, analysis and guidance for each major component of the comprehensive local needs assessment and the decisions states can be making now to support a robust CLNA process that aligns with the state’s overall vision for CTE. GUIDE: A Guide for Local Leaders: Maximizing Perkins V’s Comprehensive Local Needs Assessment & Local Application to Drive Equality in CTE (PDF): This guide from ACTE provides an overview and and guidance for the comprehensive local needs assessment so that local leaders can utilize it as a tool for program improvement. Advance CTE just launched a Shared Solutions Workgroup focused on the new CLNA. This workgroup will bring together state and national leaders to develop thoughtful and forward-looking resources (to be shared this summer/fall) that respond to the challenges and opportunities of CLNA in Perkins V.
Looking for resources on other topics? Please be sure to check out the Learning that Works Resource Center. 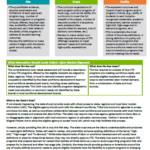 Posted in Resources | Comments Off on Perkins V: How can the comprehensive local needs assessment drive improvement? 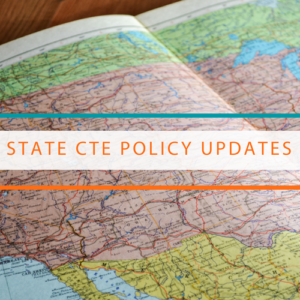 In Virginia and New Mexico, the state legislatures have taken action to expand opportunities for CTE learners. In Virginia, on March 5, SB1434 was signed into law. The law directs the Virginia Board of Education to revise its Career and Technical Education Work-based Learning Guide to expand opportunities for learners to earn credit for graduation through high-quality work-based learning experiences. The law directs the Board of Education to consult business and diverse stakeholders to inform its revision of the guide. In New Mexico, on March 9, HB91 was signed into law. The law establishes a seven-year pilot project to fund CTE programs and monitor their effects on student outcomes, including graduation rates and achievement scores, among other outcomes. The law allows the New Mexico Department of Education to provide grants to school districts to establish CTE programs as part of the pilot project and professional development to CTE teachers in the pilot project. The law outlines the requirements CTE programs funded through the pilot must meet, such as that the programs must lead to an industry-recognized credential at the postsecondary level and require training in soft and social skills. The Colorado legislature passed a bill that opens a previously restricted funding stream to CTE. 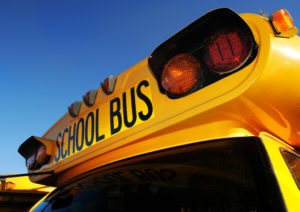 On March 7, Colorado Governor Jared Polis signed HB1008 into law, which amends the “Building Excellent Schools Today Act” to allow the public school capital construction board to provide grants to support CTE capital construction, which includes construction of public school facilities and equipment for CTE programs.